God weaves babies together in the protection of the womb. Satan wants abortion to murder those babies. God wants mothers home nursing those babies. Satan wants those babies in daycares being given bottles by strangers. God wants mothers home raising their children up in godliness. Satan wants mothers to have careers and the children to be raised in public schools where God is not allowed to be mentioned. God wants children to be brought up in the nurture and the admonition of the Lord. Satan wants children to be brought up in the ways of the world. God created the home and wants it to be a place of peace and warmth. 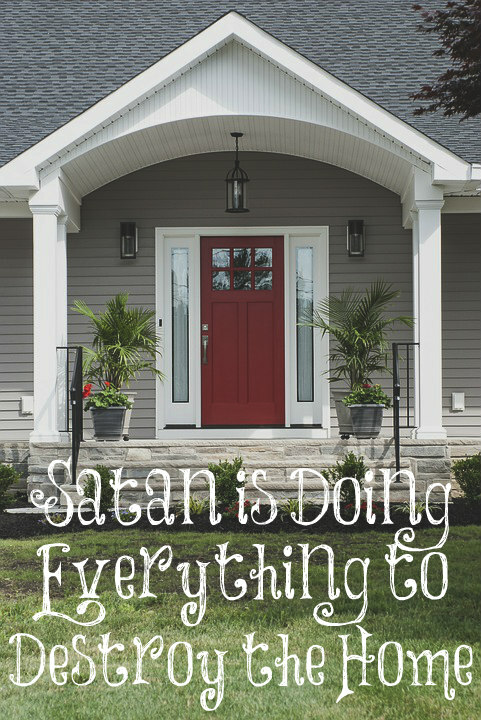 Satan wants to destroy the home by having it sit empty all day long and where strife reigns between the couples at night. God created marriage between a man and a wife and said it was good. Satan hates marriage and wants perpetually singleness for young adults. 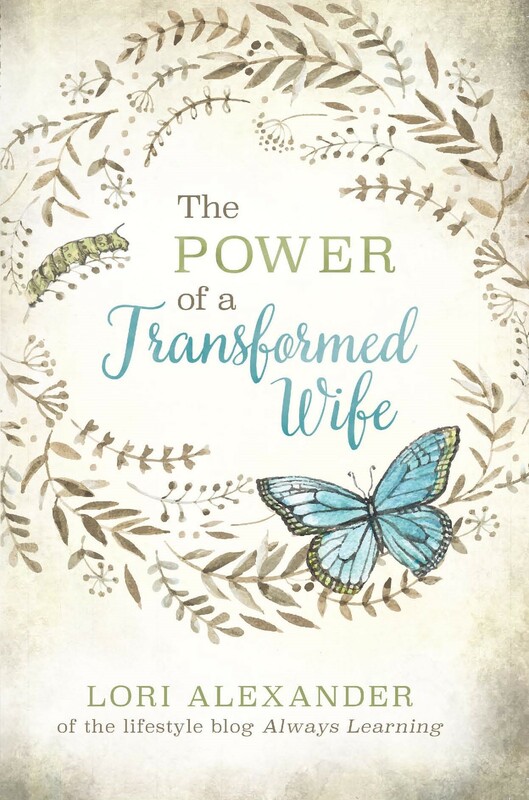 God wants the husband to be head over the wife. Satan wants the wife to rule her husband. God wants wise women who build their homes up. Satan wants foolish women who tear their homes down. God wants marriages to last until death do they part. Satan celebrates divorce. God created the family and loves it. Satan hates the family and wants to destroy it. God wants a home to be built by wisdom and understanding (Proverbs 24:3). Satan wants it to be built upon foolishness. God wants children to be raised by mothers and fathers. Satan wants children to be raised without a father. God calls children a blessing and wants couples to be open to His blessings. Satan convinces couples that children are a burden and an inconvenience, and they need to use birth control to prevent having many, if any, children. God wants children’s salvation to take top priority in a mother’s life. Satan wants a mother’s career to take top priority. God wants mothers’ hearts turned toward their homes and their families. Satan wants mothers’ hearts to be turned toward what society has to offer. It looks like Satan is winning on earth, even in the churches, but guess Who will win in the end! Choose you this day whom ye shall serve but as for me and my house, we shall serve the Lord. Tragic and frightening to see so many “Christians” (of BOTH sexes) so eagerly enlisting in Satan’s army to bring about the destruction you describe. The love of the World and its ways is truly irresistible to most. It is terrible how much churches have bought this lie of Satan’s. I would be thrilled if more women would read the Bible and obey God. They would rather think believe the ” that was then, this is now ” lie. Just remember that for us men, it’s often women who are Satan’s lure. I don’t just mean the sleazy woman crawling up from the gutter. Look at the women of hollywood and the women just sworn in to serve in the US House of Representatives, some of whom are so clearly Satan’s Incarnate. Yet they are idolized by the press. Even godly men have little defense against these women…we are too constrained by our vows to protect women and children. I know that godly women seek to avoid conflict, but remember that when these harlots and demon women are in your midst, I think you must find ways to shun them and you must warn your men. Bill, I’m with you that woman is Satan’s lure to get at God’s creation: man (and to greater extent: mankind). We see this in Gen 3:15, Prov 7:25-26, Jam 1:12. This plays out in full in Jezebel’s tale. However, where in the Bible specifically are men called to protect women and children? Eph 5:25 demonstrates that husbands should be prepared to give up their lives for their wives/families. It does not state women/children at large: those are not my responsibility in that vein. 1Jo 3:16 demonstrates that men and women should be prepared to give up their lives for their brothers/sisters. Jo 15:13 demonstrates the same for ‘friends’ (which I interpret to be, again, brothers and sisters in Christ). In all examples I can find, the narrator/author of the book is addressing the church (not the government, not unbelievers) and encourages these actions towards others within the church, or covenant-bearers. I always take great care to ensure I understand the context of messages and never give more meaning or less meaning to any passage than what I can surmise was written. Do you have a specific verse/translation that demonstrates men (or women) are called to protect women (or men) and children, at large? The destruction of the Christian family in the western world is the catalyst for the death of what for millennia has constituted the Church on Earth. This destruction will be almost total and will be part and parcel of God’s plan to “separate the wheat from the tares” in the end times upon the return of His Son (I hear the phrase “Jesus is coming soon” thrown about liberally in the church today, to the point where it’s becoming as much of a thoughtless cliche as “have a nice day.” I don’t think that those who wield it have any idea of what it truly portends; Our Lord’s return to Earth will be a violent, terrifying event, for it will signal the start of a thorough purging of ALL iniquity, something that is abundant even within that which now considers itself part of the Body of Christ). but guess Who will win in the end! Amen, even though the remnant will be MUCH smaller than anyone imagines. Don’t let Satan use you as a tool. That was one of the messages I brought home from a recent church convention I attended with my children. Unkind words, a bad example, unforgiveness, pride…. all of these things in us Satan uses as a tool to make someone doubt. Following the ways of the world is the best way to let Satan use us as a tool. If churches are following God, and people are saved, why are there so many families in them that restrict numbers of children? And w ho believe that it’s ok for both parents to work? It’s sad that so called born again Christian people do this. And don’t get me started on college! What do you think, Lori? I was a stay at home mom when my children were young. I cried buckets when I had to bottle feed. My beautiful parents let me have a few hours to myself from time to time. My hubby and I both parented the children when he came home from work, he really enjoyed bathtime and reading to them. Here is a great article on the effects of communism and feminism. What books and tv programs do you suggest that are good and wholesome. My son is very bright and I want to teach him science, history, etc.